Just about everything that could have gone wrong for England did go wrong. Practically the only positive was that they avoided a whitewash. Outplayed in all departments, they were deserving recipients of a 4-0 hammering. They only drew the match in Melbourne because the pitch was so dead. If Root had not been driven to hospital yesterday by gastroenteritis, he would surely have been driven there by despair. He had a mediocre series personally, scoring 378 runs at 47, with a highest score of 83. His counterpart, on the other hand, Australia captain Steve Smith, scored 687 runs at 137. Smith’s average was thus nearly three times as good. Root’s problems started before the plane left England. Stokes’s arrest after a street fight in Bristol deprived him of his right-hand man and talismanic all-rounder. Suspended by England amid the ongoing police investigation, Stokes played no part and let down his captain. Root found himself batting off questions about a perceived drinking culture before a ball had been bowled. Further irritations surfaced when England landed. The series itself was not one that will live in the memory, unless one is Steve Smith or a member of his inner circle. When Jonny Bairstow greeted Cameron Bancroft in a Perth bar, touching heads in a bizarre but apparently playful gesture, “headbutt-gate” was born and soon blown out of proportion. Bancroft and Smith milked the episode for all it was worth during a press conference after Australia’s 10-wicket win in the first Test in Brisbane, leading Andrew Strauss, the England director of cricket, to slap a midnight curfew on the touring team. On the field, England set an unhappy tone in that match by competing well for periods only to fall down spectacularly like someone who had been headbutted for real. Root’s warnings to his players to behave better in public, meanwhile, were quickly thrown back in his face when Ben Duckett poured a drink over James Anderson in the same Perth bar, resulting in Duckett’s suspension and more irritating side issues for the captain to contend with. Root already had enough on his plate – in particular, how to allay pre-series fears that if Australia’s three-pronged pace attack of Mitchell Starc, Josh Hazlewood and Pat Cummins remained fit, Australia would be too strong in home conditions. Those fears proved justified as that injury-prone trio sparkled, Cummins capturing 23 wickets, Starc 22 and Hazlewood 21, ably supported by spinner Nathan Lyon, who also claimed 21. Whereas Lyon bowled superbly, allowing Smith to rest and rotate his pace men, Root got no such support from Moeen Ali, whose bowling and batting was a huge disappointment. Ali managed only five wickets at 115 and scored 179 runs at 19, the sort of figures that can end a man’s Test career. The absence of viable alternatives, however, is one that permeates most departments of the England team, with little suggestion that Moeen is in imminent danger, and it also explains why such as batsman James Vince was called-up in the first place. The Hampshire player hardly justified selection with a pre-series Test average of 19, and he has since increased that to just 22; Vince is the most under-threat of the players ahead of the forthcoming tour to New Zealand. Mark Stoneman, who averaged 25 in the Ashes, was another big disappointment, as was fellow opener Alastair Cook, whose double hundred in Melbourne masked a wretched return. 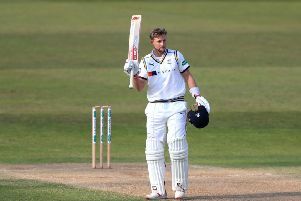 The only batsman who really stood up for Root was Dawid Malan, England’s leading run-scorer with 383 at 42, who looked to have the necessary temperament as well as the talent. Bairstow chipped in with 306 runs at 34 and kept wicket magnificently, thus quietning advocates of Surrey’s Ben Foakes, while James Anderson impressed with the ball. Like Cook, however, Anderson’s pace partner Stuart Broad only turned up in Melbourne, where he took five wickets in the match and scored a half-century, while Chris Woakes made little impact in his four appearances. After England lost the day/night Test in Adelaide by 120 runs, where it was reckoned that they had their best chance in more English-style conditions, allegations of match-fixing surfaced before the third Test in Perth. In a tour in which controversy was never far away, The Sun’s “bombshell dossier” nevertheless appeared to bomb, and there was no suggestion of a fix at the WACA as England played true to form by losing by an innings. After the tedium of Melbourne, where yet more allegations, this time of ball-tampering by England, were rubbished, yesterday’s innings defeat in Sydney was a fitting denouement. Australia – vindicated by the bold selections of players such as Shaun Marsh, Mitchell Marsh and Tim Paine – were simply too good for England; even without Stokes, that fact was indisputable. There was a distinct lack of memorable cricket on some pretty sluggish surfaces, and it was not a great advert for Ashes cricket. Nor was it a great advert for cricket full stop, with the various controversies compounded by sledging and posturing. The “Trashes”, they called it, with some players behaving like five-year-olds. With that in mind, the presentation podium in Sydney yesterday could not have been more appropriately conceived, for it showed an Australian hand with four fingers pointing skywards next to a clenched English fist, denoting the 4-0 scoreline. Tasteless and crass, it symbolised the “Trashes” perfectly.